*Late registrations will be accepted between July 16 and August 15, 2016—please add a $10 per person late fee. (we are almost at Full capacity please make your reservation as soon as possible to secure your weekend pass. Note: Due to the formal nature of planning and costs involved for this event, we are sorry to report that walk-ins/drop-ins cannot be accommodated. You are enthusiastically invited to attend our NHS Class of 1966 50th Reunion Celebration taking place September 16-18, 2016! Plans are underway for a jubilant, unforgettable weekend that you will not want to miss! Friday, September 16 – 6:00 to 8:00 p.m.: Feelin’ Groovy 60s Party. Informal drop-in event to catch up with friends and rock out to some 60s tunes. Light, vintage-style food and drinks will be on hand. Attire ~ Casual, or don your favorite 60s-themed outfit. Saturday, September 17 – 5:00 p.m. to midnight: Dinner and Dance. The evening features an elegant dinner buffet, live music, an In-Memoriam slideshow, a professional group photo, cash bar, and many “doin' it our way” surprises! Schedule: Sign-In, Meet and Greet in the NHS VIP Lounge will take place between 5:00 - 6:15 p.m., NHS Class Photo at 6:30 p.m., Dinner at 7:00 p.m., followed by live music and dancing. Cash Bar from 5:00 p.m. until midnight. Attire ~ Dressy-Casual. Sunday, September 18 – 8 to 10:00 a.m.: Goodbye Breakfast (optional). Time to say our Goodbyes. Classmates have the option of meeting for breakfast at the Embassy Suites before heading home. The Embassy Suites features made-to-order breakfasts free for overnight guests of the hotel, or at a cost of $9.95 per person for non-guests. This is a great way to cap off a weekend of reconnecting with old friends for those who will still be in the area Sunday morning. Place: Tables reserved for NHS reunion attendees in the Embassy Suites Preconference and Atrium area on the main floor. Lodging: See enclosed '66 Reunion Golden Ticket Registration Form for details for the NHS preferred hotel, Embassy Suites located in downtown Charleston and other lodging options in the Charleston Metro area for our reunion guests. *Late registrations will be accepted between July 16 and August 15, 2016—please add a $10 per person late fee. Please Note: Due to the formal nature of planning and costs involved for this event, we are sorry to report that walk-ins cannot be accommodated. 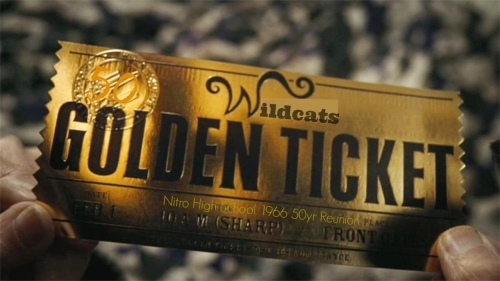 You may also register online at nhs1966reunion.com, or just visit our website to read up-to-the-minute details on reunion weekend activities and options, view our online yearbook and other photos, check out what your former classmates are up to now, add your own profile, and much more! Questions? Please feel free to contact any of the following: Ron Thaxton (304-776-5907); Linda Clendenin Lucas (304-776-2321); Nan Wade Hutsenpiller (304-562-7965); or Carol Little Diehl (304-755-2314); or send an email to info@nhs1966reunion.com.